Google steamrolled right through 2012. It beat Apple at its own game with a heralded Maps app that puts its rival's navigation installation to shame, dipped heartily into the tablet market with the Nexus 7 and Nexus 10 and brought forth a brilliant little thing called the Nexus 4 that's harder to find than a Tickle Me Elmo in 1996. This was a solid 12 months of growth for Google, but for it to legitimately lay claim to the title of top tech company, Google needs to land a few 2013 knockouts in both the realm of the practical (new hardware) and magical (Google Glass development). We tracked down a pair of analysts to give us insight into what we can expect from Google next year plus conjured our own predictions, so read on for the machines, services and what we won't see from the G-team in the next 12 months. In Larry Page's own words, Google hasn't owned Motorola long enough to have developed a Moto-branded Nexus handset, but we think a year come May is long enough. The Nexus line is notoriously slow out the gate, but Google is likely already tossing around Moto Nexus ideas, so look for a follow-up to the Nexus 4 (hopefully with 4G) sometime in the fall. 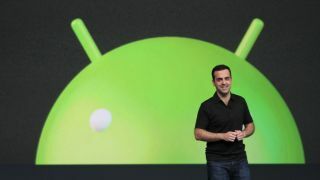 "Google launched the Nexus 7 and Nexus 10 this year, but I suspect the rabbit hole runs much deeper," said Scott Steinberg, a tech analyst who runs TechSavvy Global, a strategic market and research firm. "It's officially branded range is going to get much wider in the next 1-2 years." The groundwork lain in 2013 could see Google retail stores open in 2014-2015, he added. There's no doubt 2013 will see Google serve up Android 5.0: Key Lime Pie. Google might introduce 5.0 at Google IO (happening May 15 – May 17, 2013), or it could host a separate event, possibly timed with the launch of a new smartphone and/or tablet. However you slice it, Key Lime Pie will help bolster Android's takeover of the OS market. Windows 8 is still young and iOS still strong, but manufacturers like Samsung, LG and HTC are pushing Android out to an ever-growing audience. That won't slow next year, especially as phones sporting Pie with hyped up specs (like the rumored LG Optimus G2) hit the market. Google is in the midst of introducing its ultra-spiffy broadband service to a handful of neighborhoods in Kansas City, Kan. and Kansas City, Mo., and Steinberg said Google has designs on becoming a worldwide internet provider. Look for Google to broach bringing Fiber to the developing world and other areas of the international market. It won't take on big North American providers like AT&T and Time Warner just yet, Steinberg noted, but 2013 through 2014 will bring strategic acquisitions, growth and backend build out on the continent. For Brian Blau, research director, consumer technology and markets at Gartner, an IT research and advisory firm, Google's social network has grown by leaps in the past 18 months and will continue to saturate Google's platforms more deeply, especially in mobile. Blau also said Google+ may also see an evolution in its UI towards the "card" design, used currently in Google Now. Business users are flocking to G+, and because it has no real need for advertiser dollars at the moment, users fed up with Facebook could find a new network to frequent. Steinberg called television the last great untapped territory when it comes to screens, but said Google isn't in a position to go full force in the living room just yet.